Stunning home for sale in Moreno Valley Ranch! This beautiful single story home has 3 roomy bedrooms, 2 full baths and a large back yard with fruit trees. There is a big living room with a cozy fireplace and newer wood flooring. The large kitchen has tile floors, a slider to the back yard, and ample storage and counter top space. The romantic master bedroom features new carpet, a slider to the back yard, and a full bath with 2 sinks, tile floors and a big walk in closet. The laundry is conveniently located in the house. The spacious back yard is landscaped with grass and fruit trees, including Pomegranate, Lime, Fig, and Avocado. Energy efficient upgrades include a newer furnace and ice cold a/c. The 2 car garage has direct access to the house. There is a low HOA fee that provides pool, spa, clubhouse, gym, and lake. Walk to neighborhood park and Bethune Elementary. This home qualifies for all financing: FHA, VA and down payment assistance programs are welcome, so plan your visit today! This is a great starter home located near the 215 freeway in a very quiet neighborhood. This home features a total of 4 bedrooms and 2.5 bathrooms. All 4 bedrooms and 2 full bathrooms are located upstairs. The entire upstairs is carpeted and the master bedroom is very spacious with a walk in closet, master bathroom with dual sink. The half bathroom downstairs makes it convenient for family and guests needing access. It also features central heating and air conditioning, high ceilings in the living room, family room with fireplace, dining room, an attached 2 car garage. The garage provides washer and dryer hookups that are conveniently close to the kitchen and family room area. There are no HOA fees on this property. Moreno Valley Ranch is a waterfront community in Moreno Valley, California. Residents enjoy many amenities and spectacular views. This community, known as “The Ranch” is popular with first time homeowners and investors. Several neighborhoods within this community offer homes that have up to 3,000 square feet. There is a variety of floor plans and designs. Besides the lake, amenities include a clubhouse, gym, paddle boats, fishing boat, park, swimming pool, spa, wader, ping pong tables, barbecue areas, basketball courts, and carom boards. Val Verde Unified School District has jurisdiction over this community. Students may attend facilities such as Victoriano Elementary School, Vista Verde Middle School, and Rancho Verde High School. There are also several private and charter schools available like Valley Christian Academy, Calvary Christian School, and Riverside County Educational Academy. Moreno Valley College is minutes away down Lasselle Street. Moreno Valley Ranch is within walking distance to shopping and services. There are several parks in the area like Victoriano Park, Pedrorena Park, and Parque Amistad. You will several golfing venues in this region like the Canyon Crest Country Club which offers youth camps, a fitness center, swimming pool, tennis courts, and facilities for special events. There are two major medical facilities in Moreno Valley. Kaiser Permanente Community Hospital offers basic emergency services. The Riverside County Regional Medical Center has basic services as well as a Level II Trauma Center. If you’re already working with a Real Estate agent, please utilize your agent’s website & direct expertise to aid in your home search. We are only able to directly serve our own clients. Thank you for your interest in the Moreno Valley Ranch community, and we wish you the best of luck with your Real Estate needs. Whether you are contemplating buying or selling a home in Moreno Valley Ranch, it is important that you hire the right team that fits your needs. We roll out the red carpet for buyers & sellers alike, and ensure you have access to us 24/7, as we aim to earn your business for life! 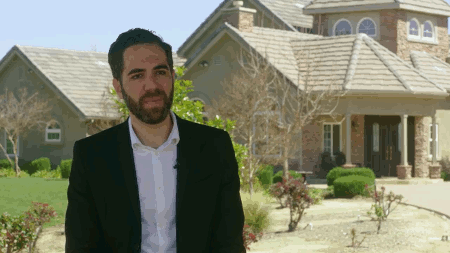 We understand the market well, and you will not find a more qualified Moreno Valley Ranch real estate agent to help you with all of your Real Estate needs! As a buyer, you will have access to Moreno Valley Ranch listings the second they hit the market, which gives you a leg up on the competition. As a seller, your home not only will be featured on one of the top Moreno Valley Ranch sites on Google, but we also will syndicate your home to hundreds of other sites, hold weekly open houses, send out postcards, and much more! We have helped dozens of buyers & sellers, and look forward to helping you as well! Newly listed as of Wednesday, April 17th at 9:58am, this 4 bedroom, 3 full baths home on Graylag Circle is part of the Moreno Valley Ranch community. With 1,927 square feet of total floorspace, this home is priced at &dollar;160.87 per square foot. That's 9.18% lower than the neighborhood average. There are also 2.00 garage spaces available for parking. Originally built in 1992, this 2-story home sits on a 5,227 square foot lot. Listing provided courtesy of Ramiro Quezada at Intero Real Estate Services.